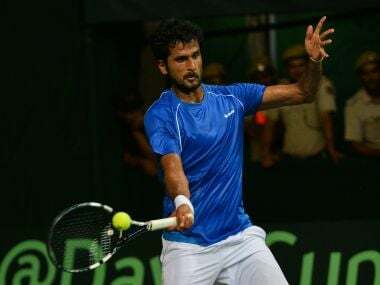 New Delhi: Saketh Myneni won his third match on the trot after returning to competitive circuit following a six-month injury-induced break as he advanced to the second round of President's Cup while Yuki Bhambri also made a winning start at the Gatineau Challenger in Canada. 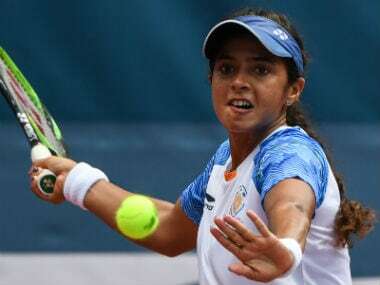 Myneni, who won two matches in the Qualifiers, pipped local wild card Grigoriy Lomakin 6-3 7-6 (4) in the opening round of the $125,000 hard court event in Astana, Kazakhstan. Myneni missed half the season due a shoulder issue and it is his first tournament since Australian Open. The three wins in this tournament so far are Myneni's only wins this season on the ATP circuit. He had lost in the opening round of the Chennai Open and first round of the Australian Open Qualifiers. He had pulled out of India's Davis Cup tie against New Zealand in Pune in February. 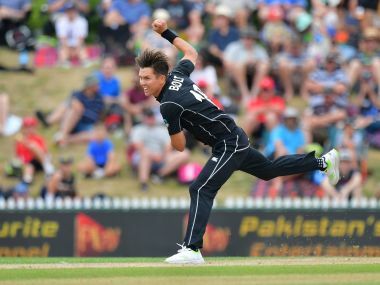 "I am happy to be back and playing pain free. It feels like you are out of circuit forever. It is not easy to get back the sharpness you want but you gradually grow in confidence and that helps picking up your game. It will happen sooner than later," Myneni told PTI. "I am looking at playing some quality tournaments before Davis Cup comes in September. It is windy and tough conditions here and we have to find a way to win. I am glad that I won three matches so far," Myneni added. Meanwhile, Bhambri outplayed Japanese Tatsuma Ito 6-3 6-2 in the opening round of the $75,000 Challenger event in Canada. He next faces third seed Slovakian Blaz Kavcic. However, Ramkumar Ramanathan fell in the opening round of the ATP 250 event in Newport following three-set defeat against American wild card Christopher Eubanks. The top seeded Indian lost 6-4 3-6 6-1. Also making a first round exit was N Sriram Balaji, who lost 4-6 4-6 to Argentine Qualifier Mariano Kestelboim in the Poznan Open in Poland.